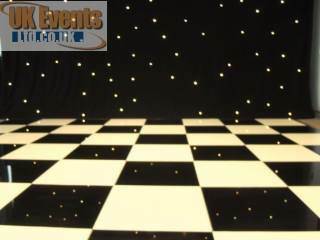 We have one of the largest stocks of black and white dance floors available to hire throughout the United Kingdom. We can transform a room in minutes to create a truly amazing look to improve any style of venue room or marquee. Add a touch of style and class to any function room or marquee ideal for birthday parties, corporate events, awards nights, wedding receptions or special events. Our dance floors can be ordered to pretty much any size required ensuring you, the client get precisely what you need. 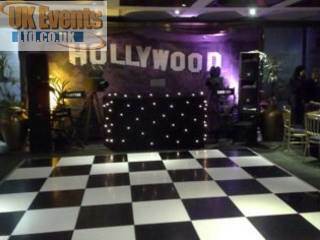 Black and white dance floors are now available for long term Hire. Whether you require a dance floor for one day, a weekend, a month or longer term, we can now arrange special discounts for these hires. Contact one of our sales team and mention the long term hire offer.